FOCUS was first founded in 1995 by the wife-and-husband duo of Doug and Judy Butler, and an ambitious team of professionals with many years of expertise, know-how, and experience in developing integrated solutions for the enterprise time & attendance and data collection markets. As an employee-owned company with a proven track record in deploying successful, economic, and long-term solutions to our clients, FOCUS designs, implements, and supports systems for businesses of all sizes, from 25 to 22,000 employees. We believe that building our business comes from building relationships, and we strive to live up to that ideal every single day. For years, FOCUS has continually dedicated itself to its clients and partners, while also striving to improve and implement the latest technology in the time and attendance field. Between its original members, FOCUS has over 90 years of combined experience in the industry. In 2006 FOCUS developed and launched its own PowerTime web-based timesheet software, and since then, it has undergone continuous development to expand its features and improve scalability. PowerTime is utilized by a wide variety of public and private organizations, including community colleges, hospitals, behavioral healthcare providers, community service boards, and more. FOCUS also completed development of its own rugged hardware timeclock devices in 2017. Since then, almost a thousand of FOCUS' devices have been installed for customers. Looking to the future, FOCUS will endeavor to continue expanding its capabilities to better equip our current and future clients with the highest quality time and attendance products and support. Throughout the years, many highly talented people have made their mark on Focus and contributed to its growth and success as a company. Many of them are still here, offering the kind of expertise and passion that brings value to our workplace and ultimately, to our clients. Here, you can meet some of them. 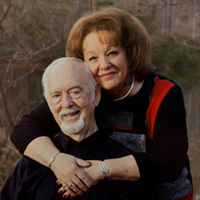 Doug and Judy Butler are the visionary founders of Focus Professional Services, Inc. With over 50 years of experience, Doug served as a System Engineer and highly successful Regional Account Manager for Data Pathing, NCR, and AT&T for over 25 years marketing custom time and attendance solutions. 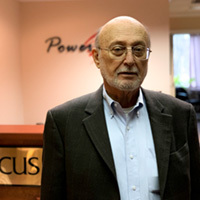 Doug currently serves as CEO of FOCUS. Judy has been the CFO of FOCUS for 23 years. Before her instrumental involvement in the starting of FOCUS, Judy worked extensively in accounting and payroll for several industrial companies. Doug and Judy founded Focus Professional Services, Inc. in 1995 as a system service contractor for a large industrial employer. Since then, they have consistently grown the company by developing and maintaining their time and attendance solutions nationwide and continuing to enhance their product hardware and software to meet customer requirements. Looking forward, Doug's vision is to continue to grow the company and provide our current and future customers with the highest quality product and support. During their spare time, Doug and Judy enjoy spending time with their six grandchildren. Steve joined FOCUS in 2000 as the Sales Director after a successful career in engineering in both the private and public sectors. Steve began his educational career studying Heavy Metal Fabrication at the Newport News Shipbuilding Apprentice School. Upon graduation, he continued his education at Old Dominion University and earned his BS and ME degrees in Civil Engineering and received his Professional Engineer license. Steve considers himself a “lifelong learner” and has recently began working toward his MBA degree. As Sales Director of FOCUS, he played a large part in the development of the PowerTime web-based timesheet system and has been instrumental at marketing it on a national scale with customers across the country. Steve is currently the President and COO for FOCUS and oversees all aspects of the business. Steve and his wife Melissa have raised two sons. Steve served as their basketball and lacrosse coaches as well as their Scoutmasters. Both boys are Eagle Scouts and are now in college together at the University of Lynchburg. Angela joined FOCUS Inc in 2001 as the Marketing Director. She graduated from Longwood University with a BS in Therapeutic Recreation, and she is also a member of the Alpha Sigma Alpha sorority. Upon graduation, she sat for the exam to become a CTRS (Certified Therapeutic Recreation Specialist). Angela spent many years in California, where she worked as a grant writer for a non-profit organization that developed programs for low-income families and ESL students. Upon moving to Texas, she became the Director of Therapeutic Recreation and established a new program for the newly-built HCA Rehabilitation Hospital. 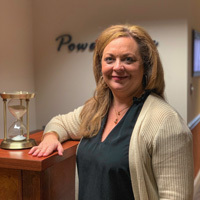 After returning to Virginia, Angela worked for the Diamond Healthcare Corporation for Outpatient Mental Health programs in Williamsburg, White Stone, and Newport News, and was quickly promoted to the Marketing Department for Outpatient Mental Health at Mary Immaculate Hospital. Angela then decided to join the family business at FOCUS Inc, where she continues to use her marketing skills and compassion to build relationships with our customers, and oversee day-to-day operations. Robert joined FOCUS in 1997 as a Hardware Technician to maintain Time and Attendance systems and its equipment. Robert has a background in computer science with an interest in electronics. He joined the Army in 1989 where he was a Precision Measurement Equipment Specialist. As a Sergeant he calibrated and repaired testing, measurement, and diagnostic equipment (TMDE) which included advanced electrical, electromechanical, physical and dimensional analytical devices and standards. He continued work as an electronics calibrations repair technician at Wyle Laboratories servicing NASA Langley after his service in the Army. Robert’s knowledge and experience with a multitude of electronics and hardware platforms made him the perfect choice to serve as the Director of Hardware Development at FOCUS. He has authored many updates and enhancements to the UNIX based eDCF and collaborated for the development of the now SQL-based eDCF. 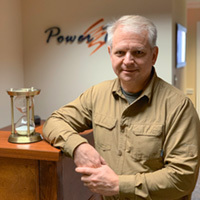 Drawing on two decades of experience maintaining data collection terminals and knowledge of leading trends in the electronics industry, Robert has designed FOCUS’ new state-of-the-art hardware devices. On the side, Robert has a knack for repairing and updating old hardware to make it do more than it ever could before. 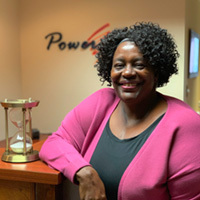 Phyllis Brown started her career in the United States Marines studying electronics, where her career spanned fifteen years until she was medically retired in 1995. During her time in the Marines, she worked as radio and telephone repair, along with PBX management and networking. She holds a B.S. from Savannah State university in Business Administration and Management. After retiring from the Marines, she studied at ECPI, where she attained an AAS in computer networking. She joined FOCUS in 1997 as a Hardware Technician troubleshooting and installing data collection terminals. In 2005, She moved into her current position of Project Manager for Data Collection Monitoring. 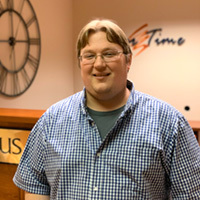 Noah joined Focus Inc in 2007 working as a network infrastructure and hardware repair technician, after graduating with a degree in Computer Science. Over several years he worked his way into IT support, server management, and programming with a specialization in time and attendance, database administration, and data collection systems. Through his efforts he has helped facilitate the creation of several systems handling large volumes of users with extreme reliability and consistent up time. He is now serving as the Director of Application Development for FOCUS and is an integral part of the FOCUS management team. Dean Schlief is an original member of the Focus Inc team, having been with the company since its earliest days. Dean has an extensive background in the time and attendance industry with over 50 years of experience. Dean attended Cleary College, the University of Virginia, University of Michigan, and Eastern Michigan University, where he studied accounting and medicine. Post-college, he served in the United States Navy for four years. During his time in the Navy at the Naval Security Station in Washington, D.C., Dean traveled the world installing and checking registered publications, and managed and worked with the CNO to generate reports to the Bureau of Personnel. Dean then worked at the Commission of Professional and Hospital Association and the Ford Motor Company, before joining the team at NCR, which would later become AT&T, where he worked for 30 years. Dean programmed, installed, and maintained a multitude of savings and loan teller machines for Hibernia National Bank. He also programmed P.O.S. terminals, wrote and maintained mainframe programs for plant utilization, and installed time and attendance equipment. Using his expertise, he taught classes on the use of timeclocks and reports. Dean has been a vital part of FOCUS Inc for over 20 years, where he continues to serve as the Project Director and Systems Administrator for several large projects. Dean’s experience and knowledge have been invaluable to the growth and success of FOCUS.